Available easily in all beauty shops and in online as well. 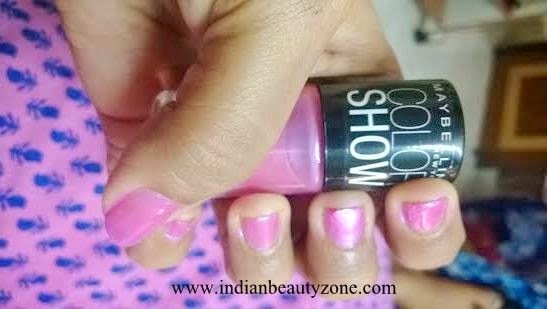 Maybelline Colorshow Nail Paint comes in a cute cylindrical gloss package with a screw applicator top. The applicator is the best one which I came across. It is very helpful to apply the nail polish within one stroke. I loved the cute package very much and it is easy to carry around with you in your pouch. 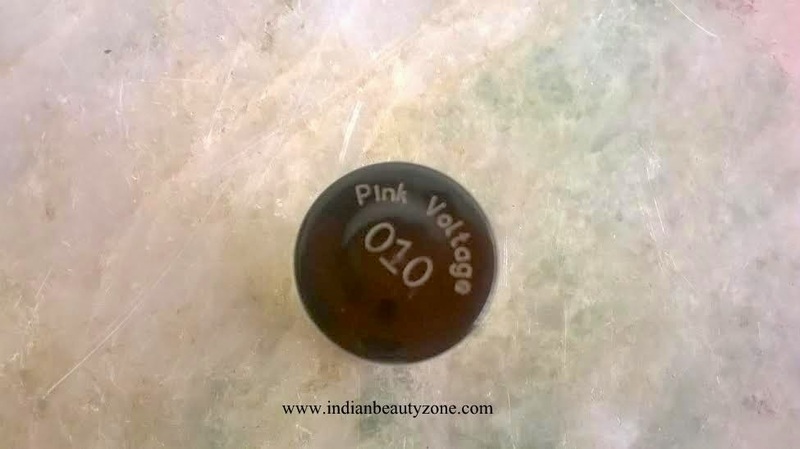 The shade name mentioned in the package is pink voltage, it is a baby pink with subtle glitters which I like a lot. 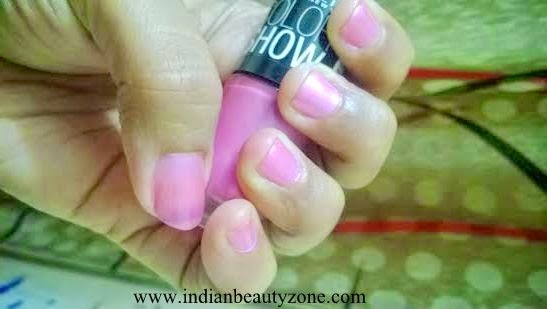 It is a bright pink too and it needs at least two to three coats to get a opaque bright pink colour on your nails. One coat o this nail paint is very transparent and looks very pale in colour. 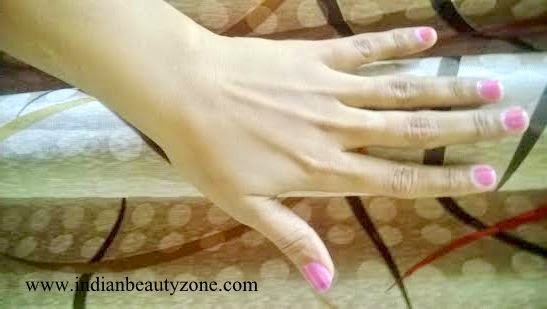 For fair skin girls like me it looks like neutral pink and opt for daily wear nail paint. 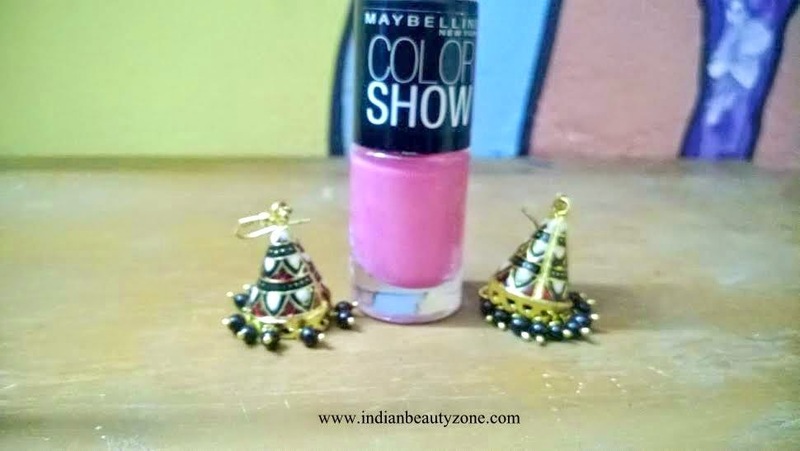 I am sure this shade looks bit brighter on dusky beauties, but anyway both of them will enjoy because it is a beautiful nail paint shade. The nail paint stayed on my nails for a week without fading. I use to do work with water regularly and I think this nail paint will stay more than a week with someone who is not working often with water. Well, Maybelline is a reputed brand for makeup products and there is no wonder that this nail paint has such a good quality. I have huge collection of nail paints and lipsticks. They are my favorite makeup product which I often use them a lot. The subtle shimmers are not at all visible and it looks very shiny and beautiful on my nails. All I can say it is a beautiful pink and in good quality nail paint for such an affordable price tag is awesome. 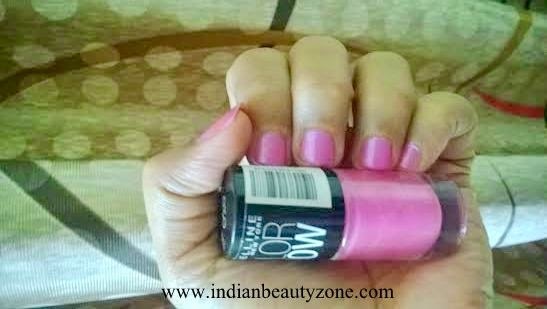 So, pink lovers must have this shade in their nail paint collection. Best for office daily wear shade. Very pretty shade n great review. . I have this shade and love it a lot.. those earings are so pretty !! 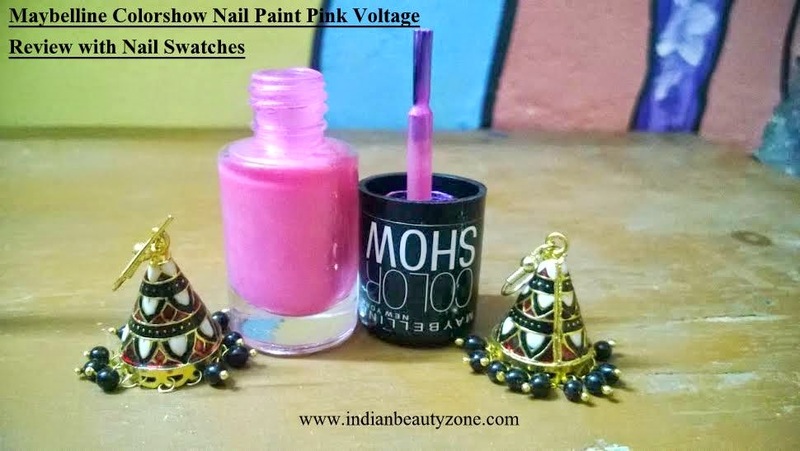 Great pink on your nails!